Storm Is Over! 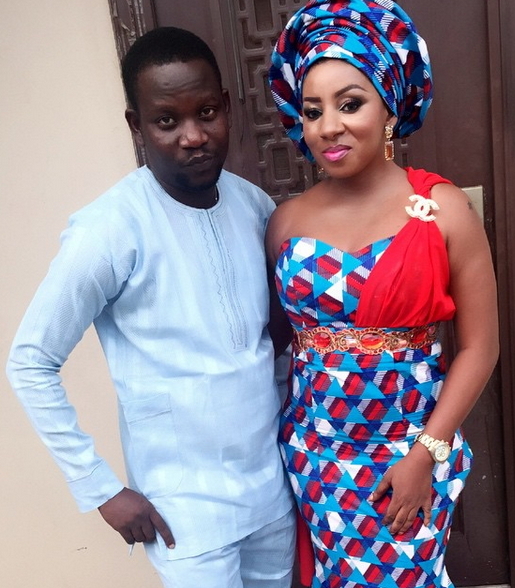 Mide Martins and Husband Afeez Owo Reunite! Just recently, Nollywood actress, Mide Funmi Martins was in the news following rumours her marriage to actor, Afeez Abiodun aka Afeez Owo had hit the rocks. 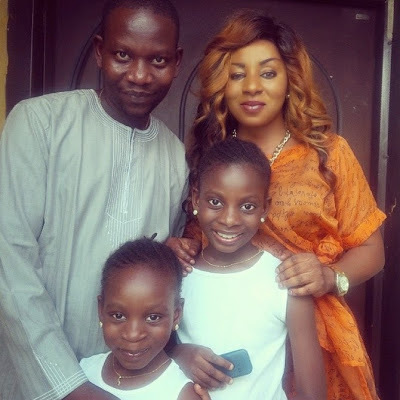 The mum of two in a recent interview disclosed that her director husband abandoned her with their children. She said, "We had a fight. It was a minor fight which I felt could be resolved without anyone knowing about it. Couples have issues everywhere in the world. This is a man I have been married to for the past 13 years, you can imagine how many issues we must have had in the past 13 years. Whether I was the one at fault, or he was wrong, we have had a bigger issue which we resolved amicably. The painful part of it was that the one that led to him leaving the house was just a minor issue. The fight was over the well-being of our kids and the next thing my husband did was to move out of the house. I believe he has been planning to leave the house; he just used that as an excuse to do so. He moved out and two weeks after he left, I heard he has rented another apartment where he now stays. Why did he make that choice? Why didn’t he think of coming back to the house to resolve the issue with his wife? I am his woman." After she revealed all of these and many more, she was reportedly rushed to the hospital because she fell ill. Her estranged husband was said to have visited her. Now however, it seems that the storm is over! 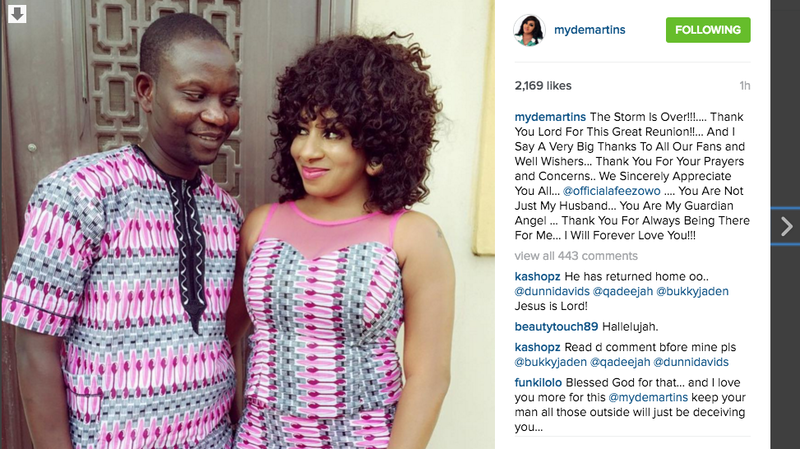 Mide took to her instagram page that she and her husband were back together and their issues resolved. She said "The Storm Is Over!!!.... Thank You Lord For This Great Reunion!!... And I Say A Very Big Thanks To All Our Fans and Well Wishers... Thank You For Your Prayers and Concerns.. We Sincerely Appreciate You All... @officialafeezowo .... You Are Not Just My Husband... You Are My Guardian Angel ... Thank You For Always Being There For Me... I Will Forever Love You!!"